What was unique about this event ? Africa Gathering joined the Guardian Global Development Site to bring you a unique conference aimed at helping us share and discuss ideas for positive change around the world. With new media revolutionising the African Continent, we thought you would want to come and sit under our palaver Tree and share ideas with us. 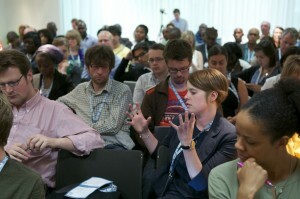 If you have attended previous Africa Gathering events you will know that we bring technophiles, thinkers, catalysts, entrepreneurs, innovators and everybody else who loves Africa to talk about positive change in sustainable development, new technology, new media, entrepreneurship, health, education and good governance. We are looking to change narratives in Africa and give voice to the voiceless, highlight people who are making changes, large and small, we want people to see and talk about Africa in a different way. It was an exciting day that helps develop business relationships and highlight how new media is changing the African continent. The Conference will seek to reframe the debate around Africa, demonstrating how social networks are moving beyond the usual subjects such as aid and development, to focus on economic growth and the Continent’s entrepreneurial future. The programme involved a mix of keynote speakers, panel discussions and breakout groups with high profile guests from across Africa and Europe. One of the highlights was a workshop on Social Networks followed by an interactive and exciting afternoon with amazing guests. A Tech/Africa conference that engages innovators, enthusiasts, and entrepreneurs, highlighting the work that is bringing sustainable, positive change to those who need it the most. Thank you to our sponsors, the global development and sustainability team at the Guardian and of course all friends of Africa Gathering. We could have not done it without you. The event was fantastic and everyone enjoyed it. It was also an honor to have you all again at Africa Gathering, Thank you for attending and supporting us. More reviews, videos and pictures will online soon please feel free to share them and tweet them. 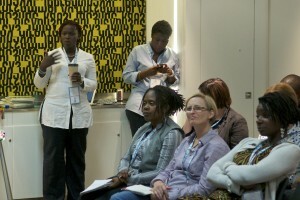 We hope you can join us a the next Africa Gathering event, details to be confirmed soon. .Strong heartiness can be described as the condition where both our body as well as our mind are functioning in due course. On occasion medicines help us. Sure most pop medicament is Viagra. Have a question about Viagra or generic viagra review? Let’s find answers to definite questions about ED. Viagra is one of the best-known treatment options of all time. Probably generic viagra is a very complicated matter. In the future it may be interesting to talk about Viagra. (Read more http://genericcialis-online.biz/generic-viagra.html). There are more than 200 common medicines can cause erectile disfunction, including pop blood pressure medicines, pain drugs, and specific antidepressants. No question what erectile disfunction treatment a man ultimately decides upon, experts say it’s significant to eat healthily.